This 4 Day Safari starts and finishes in Kampala. This safari can also be done on a private basis. 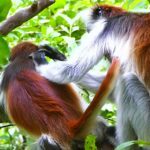 Tour both Lake Mburo National Park and Bwindi Impenetrable National Park on this tour. Seeing some of the last remaining 900 mountain gorillas in the world is a fantastic experience that you should not miss. The trip starts with game viewing in Lake Mburo National Park, Uganda’s smallest savanna national park. 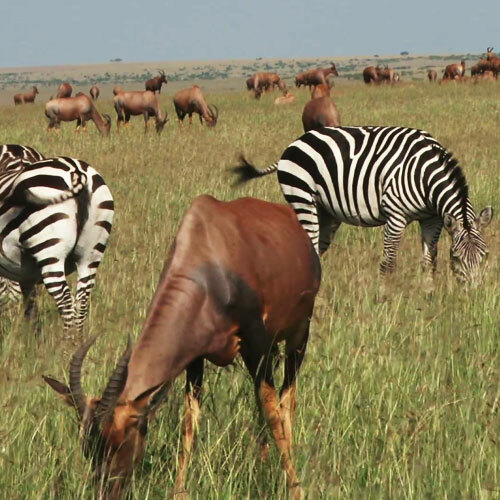 Lake Mburo is the best place to see zebras and eland antelopes in Uganda. There is also a lot of interesting wildlife including buffaloes, giraffes different species of antelopes. On safari clients stay 1 Night in Lake Mburo National Park and 2 Nights in Bwindi Impenetrable National Park. Briefing on safari. Start for Lake Mburo, arrive in time for lunch. Either canoe trip on Lake Mburo or a game drive in the park. Overnight at Mantana Tented Camp (FB). Leave for Kabale and continue to Mgahinga. 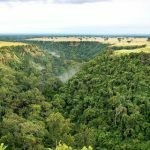 Make brief stops at places of interest including Kanaba Gap to view the dramatic Virunga volcanoes and beautiful terraced hills. Picnic lunch. Overnight: Volcanoes Mount Gahinga Lodge (FB). 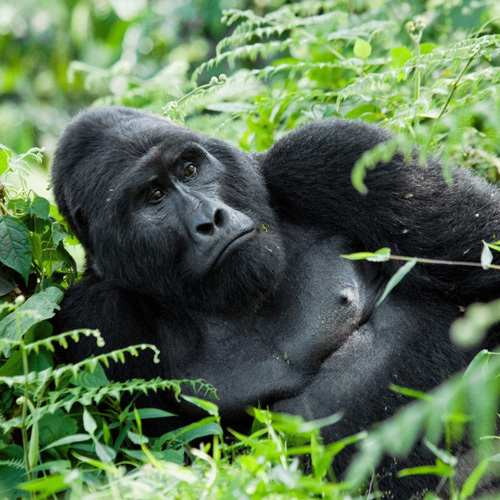 Go gorilla tracking in Mgahinga/Nkuringo (subject to permit availability at the time of booking). Mount Gahinga Lodge at 2,300m nestles in the shadow of the dramatic Virunga volcanoes. Overnight at Volcanoes Mount Gahinga Lodge (FB). Early start for Kampala stopping for lunch at Mbarara. Arrive late afternoon.